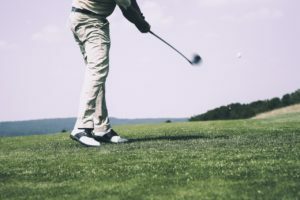 Discovery Station and the Hagerstown Lions Club are cosponsoring the 2019 Golf Tournament to be held on Friday, July 26, 2019 at the Black Rock Golf Course. Shotgun start is at 8:15 a.m. The tournament is a Four Person Scramble Flighted format. Lady golfers are warmly welcomed. Tournament prizes will be awarded to the top three teams in each flight and to winners of special contests, including Car Hole-in-One Contest on #7, Longest Drive on #1 and Closest-to-Pin on designated Par 3. A Discovery Putting Challenge, open to all players as well as non-golfers, offers a $5,000 grand prize for the finalist who can sink a 50 ft. putt. There was a winner in this event in the 2011 tournament. Entry fee is only $85 per golfer. Print off your 2019-Golf-Registration-Form. The fee includes registration, duffer’s bag, greens fee and cart fee, beverage and snack cart, full buffet luncheon, and multiple prizes. Free range balls at 7:15 a.m. Golfers’ entry also includes two free putts in the Discovery Putting Challenge. Two additional putts can be purchased for $5. Non-golfers can enter the Discovery Putting Challenge and enjoy the buffet luncheon for a $25 entry fee. Hole sponsorships are $100 each or $425 including a foursome. Business sponsorships: 2019 Golf Sponsorship Form for the tournament are now available. For more information about sponsorships, contact Bill Nairn at 301.797.3108 or via email nairn.william@aol.com. Registration Fee: Entry fee by check made payable to Discovery Classic Golf Tournament must be submitted to the above address with a completed registration form. Entry fee may also be paid by cash or check with registration in person at Discovery Station. Many golfers who participated in prior year tournaments will be returning for the 13th Annual Discovery Classic Golf Tournament so early registration is advised. The tournament has a limit of 128 players. For more information about registrations, contact Bill Nairn at 301.797.3108 or via email nairn.william@aol.com. The Discovery Classic Golf Tournaments benefit Discovery Station exhibits and operations and the numerous sight conservation and community projects funded by the Hagerstown Lions Club Foundation.